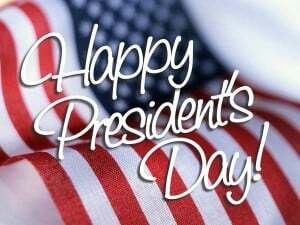 Happy Presidents Day -22 past Presidents claim Irish Descent! Presidents Day might be the on the third Monday of each February in commemoration of George Washington, the first man to hold that title, but did you know that no less than 22 men who followed him claimed to have been of Irish descent? From the seventh President, Andrew Jackson, to the 44th, Barack Obama, it seems that Irish ancestry is almost ubiquitous among holders of the highest office. In Obama’s case, his father is of Kenyan origins, but his mother’s line goes back to Moneygall in County Offaly. In 2011, the President and the First Lady took a vacation in Ireland whilst on an official visit, taking time to visit the village. Many Americans – Presidents or not – enjoy Ireland vacations, even if their full family ancestry is not known. For example, George W. Bush’s line goes back to County Cork, in the south west, but the exact location of where his family originated from remains unknown. Bush visited the country in an official capacity in 2004, but at the time a vacation in Ireland was not possible. President Bill Clinton had three official visits to the Emerald Isle during his tenure at the White House. During his first visit in 1995, a crowd of over 50,000 people gathered to greet him. In Dundalk, he was treated to a rendition of his favourite Irish Song, Danny Boy. Probably the most famous Irish-descendent who went on to become President was John F. Kennedy. His family originated from County Wexford in the south east of the country. Indeed, Kennedy was the first serving President to visit Ireland when he came in 1963, a tour that included Wexford itself. In this stunning area of Ireland vacations are relaxed and peaceful, but no matter where your personal ancestry takes you, time spent in Ireland is never wasted. Why not hire a driver in Ireland and discover the Emerald Isle at your own pace. Either discover your own Irish ancestry or just linger at places of your choosing. Interested in Happy Presidents Day -22 past Presidents claim Irish Descent! ?